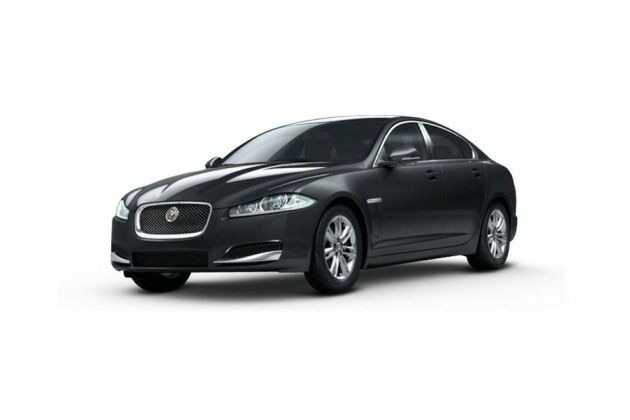 Jaguar has some wonderful cars in its portfolio that define luxury with style. The jaguar XF series range holds some terrific cars and it certainly shows how much efforts have been put in by the firm to make the cars top-class in almost every way. The new Jaguar XF S 2.2 is the latest addition to the Jaguar XF range and has been blessed with every little posh feature that makes the car a lavish drive. Under the hood, this car holds a 2.2-litre, 4-cylinder diesel engine that delivers decent power and torque figures. What makes the car a superb drive is that the engine has been coupled with an 8-speed automatic transmission. This not only gives the performance a boost, but also allows the car to deliver average to decent fuel-economy figures. The front of the car has a superbly sculpted bonnet with a remodeled front grille, fresh bumper design and large Bi-function Xenon headlamps . The electrically controlled ORVMs are perfect to look at, while the rear LED tail lights are sleek and idyllic. On the inside, the interiors of the car hold every possible comfort and luxury feature. The high class leather upholstery, air conditioning with automatic climate control, multi functional leather wrapped steering wheel and heated seats with memory function make the interiors impressive and one of the finest in its class. The safety features here are also excellent and incorporate features like airbags, ABS, EBD, BA, ESP, and more. Jaguar is known for producing superior looking cars. Its entire portfolio in India is filled with car that look extra premium. The new Jaguar XF S 2.2 is no different. At a single glance, you will notice the thorough Jaguar DNA flowing from front to rear. The front wings come with brilliantly styled air vents, while the bonnet has been sculpted to near perfection. The front grille holds chrome finish along with a very chic bumper design. The bi-function Xenon headlamps are sleek and provide the Jaguar XF S 2.2 with a character of its own. These headlamps incorporate Daytime Running Lights arranged in the ‘J Blade’ formation, which has become a visual signature of the Jaguar brand. The side profile of this car model is equally exciting. The ORVMs are electronically adjustable and come with the heating function to improve visibility during foggy weather. The car also has sensors that detect rain on the windscreen and automatically switch on the wipers and sets them to the required speed. The rear end of the Jaguar XF S 2.2 is nicely done with LED tail lights, accompanied by turn indicators. The boot lid has also been given a unique shape making the car stand out in the crowd. As soon as you step inside the Jaguar XF S 2.2, the high quality material and cabin look will win your heart. The seats are upholstered in leather, which can be chosen in your favorite color. The company gives you the opportunity to personalise the cabin according to your own choice and requirements. The XF S’s steering wheel has also been wrapped in high quality leather and comes with switches for cruise control. Also the audio controls are present on the power steering wheel. The dashboard has a wood finish that makes the ambiance of the car more lavish and posh. The car’s interiors are the perfect amalgamation of style, luxury and comfort. The company has made sure that the driver and other occupants in the car experience a comfortable and relaxing riding experience. The switches inside the car have phosphor blue halo illumination, which come into effect in the Jaguar Drive Selector, electric parking brake, instrument panel, start button and more. The door also has the same kind of illumination giving the car a more enhanced appearance. The instrumental panel here is also seen with a 7-inch color display. The climate control is automatic and comes with features like humidity control, odor filtration and window demisting. The dual zone here facilitates the front occupant and passenger to set different temperatures. There is also large glovebox that can store many miscellaneous items. The audio system here is quite advanced and comes with a CD/MP3 player along with radio FM, USB, Bluetooth and iPod connectivity features . The boot storage space is ample, which would make your long road trips easy and comfortable in every way. The other miscellaneous comfort features in Jaguar XF S 2.2 comprise of power windows, adjustable seats with heating function for the front and more. Under the bonnet, the new Jaguar XF S 2.2 is installed with a 2.2-litre, 4-cylinder diesel engine. Considering the high diesel car demand in the current car markets , this was a good decision on behalf of Jaguar. This diesel engine has the ability to give out 160bhp along with 400Nm of peak torque. The 8-speed automatic transmission coupled with the engine makes the car superior in performance and rather fantastic when it comes to mileage. This engine and transmission combination allows the car to deliver 18.5 kmpl of fuel economy. Another highlight here is its superb pickup and acceleration. The XF S 2.2 takes merely 10.5 seconds to go from 0-100 kmph. Furthermore, it has a top speed of 209 kmph . The handling and control of Jaguar XF S 2.2 is as fantastic as the company's other car models. The power steering wheel is perfect, which makes sure that the car glides smoothly even on narrow turns. To enhance the handling and control quality of the car, the company has blessed the car with a sophisticated suspension system along with very strong and responsive brakes. Jaguar XF S 2.2 comes with numerous safety features, which include a strong body frame and airbags. Also, to improve the safety of the car on the road, the car comes with emergency brake assist, Electronic Brake Force Distribution System, Anti-lock Braking System, traction control and more. All these things make the car fairly safe and sound.